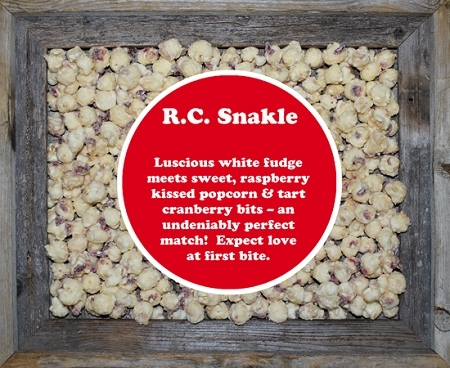 Sweetened popcorn & tart cranberry bits smothered in creamy white fudge. 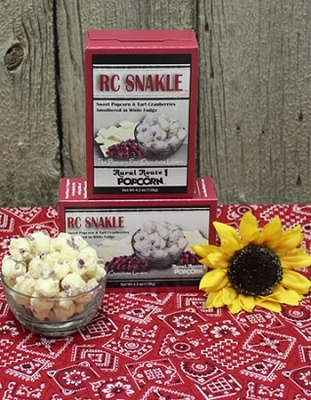 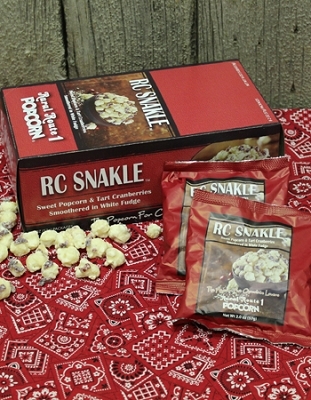 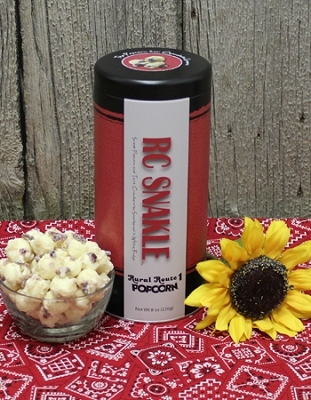 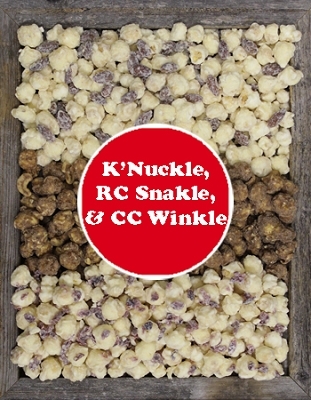 This Family Tub holds 22-24 cups of our delicious RC Snakle popcorn! 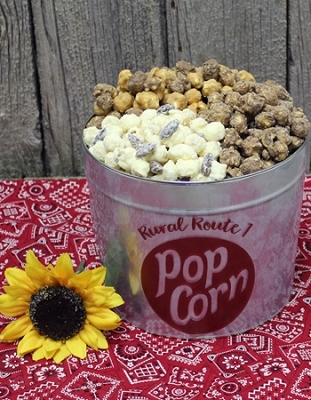 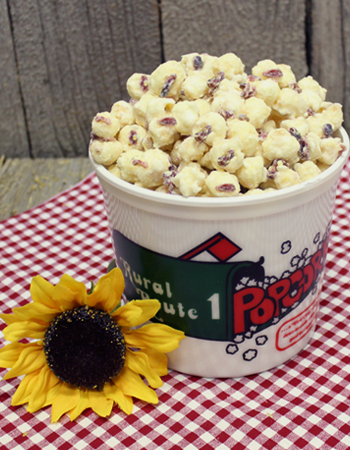 White Fudge, popcorn and cranberries; this is our Sweetest Popcorn!